Somerset gig audiences like to dance. It’s a bit of a sweeping generalisation, but there does seem to be more of a foot stomping feel to gigs in the small venues spread out across its levels and small towns than in many other parts of the country. Granted a chin-strokingly-good acoustic set will go down well at a Glastonbury or Frome open mic set or at a small tent at the Godney Gathering festival. But the ability to help an audience discover their dancing feet gets the real plaudits around here. It is therefore no surprise to hear that the brand of blues from Somerset based Swampgrass is not the slow mooching melancholy of a tortured soul but instead is of the fast paced, balls out, dirty rock blues variety. Here on their debut they aim to recreate as much as possible their live persona and bring that festival set to record and in Sharon Honeywell they have one hell of a brassy lead singer, with Etta James and Aretha Franklin among her influences. From opener Roadside Soul she takes control and her vocals are especially good on the album’s standouts Hell No and Heart Attack. 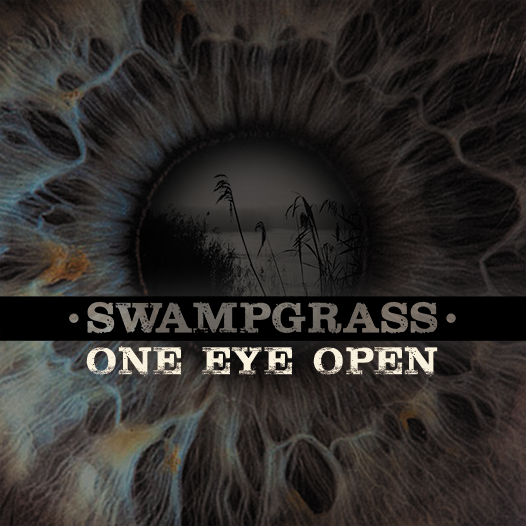 For those in the Glastonbury area on March 5 Swampgrass will be performing tracks from One Eye Open at Glastonbury URC. Doors 7pm.